“Like most coffee growing regions, the scenery is spectacular. Distant rolling hills shadowed by towering blue mountains, all somewhat hidden behind the equatorial mist. On the drive from the airport up to San Ignacio, you pass terrain that changes every 5 minutes. There are 100s of hectares of bright green rice (arroz) grown within the valleys and above, barren and eroding hills as you pass through a mountain range. A few poetic first impressions from Project Bosque Verdes co-ordinator, Robert McDonald. Rob and Zest Coffee Sydney’s roaster (and drone master) Darren Stinson arrived in San Ignacio a little under a week ago. It wasn’t the easiest passage into their destination, but judging by the photos, the journey was worth it. The Headquarters of Co-op of Bosques Verdes overlooks some of the most picturesque mountainside you’ll ever see. Coffee for miles, interfaced with mud brick buildings splashed with colour that oozes character, and, much like the locals, happiness. The regions around San Ignacio make it one of the biggest coffee growing areas in Peru and there are over 15 Cooperatives active in the town. The farms of the Bosques Verdes Coooperative (there are around 250 farms that make up the cooperative) are usually between 1-2 hectares each. Each hectare contains around 4 thousand coffee trees and each coffee tree produces around 3kgs of coffee per year. After pulping, washing, drying, hulling and removing defects, the production of each tree is about 400 grams of green coffee. After roasting and brewing that 400gms produces less than 30 lattes at your local café. Quite a staggeringly small number, and remember, each coffee cherry is picked, process and dried by hand. While in San Ignacio, Rob and Darren will perform up to 6 fermentation experiments as a part of the Project Bosques Verdes. The team at Bosques Verdes Co-op, headed by General manager, Richard, Managing director of Inkas commodity trading, Ernesto, and head argronomist (Argronomy is the science and technology of producing plants for food, fuel, fibre and land reclamation), Ernesto, have welcomed the boys with open arms. Eager to learn some of the techniques we tried and tested on our previous projects in PNG and Sumatra the co-op have embraced the unique processes we’ve presented them to them. While the previous projects were a success, with one of the Project Raggiana (PNG) lots even awarded an illustrious Golden Bean award in the 2018 competition, where we fell short was creating easy ways for the co-ops to sustain the fermentation processing beyond our visit. Where Project Bosques Verdes is different, and a vast improvement on our aim, is we are not only able to absorb the risk for our hosts, but we will be leaving them with equipment and techniques ––and knowledge–– that allow them to continue the experiments long after we’re gone. But it’s not all science and sunsets for our guys, Rob and Darren are indeed working as hard as any of the farmers of San Ignacio. Some 15 hour days have seen them up at dawn selective picking cherry before transporting the harvest, by donkey and on foot, up the mountain to their host’s farm–– a half an hour steep walk–– where they are conducting their experiments. And working late into the evening, pulping (by hand), drying, fermenting and of course, recording findings. There has also been a bit of play with their hosts, which has included the coffee hand-pulping “World Championships”, a geek-out only true coffee-processing aficionados would appreciate. Finca Vitalina is a farm owned by members of the Bosques Verdes Co-op, Vitalina and Forunato. 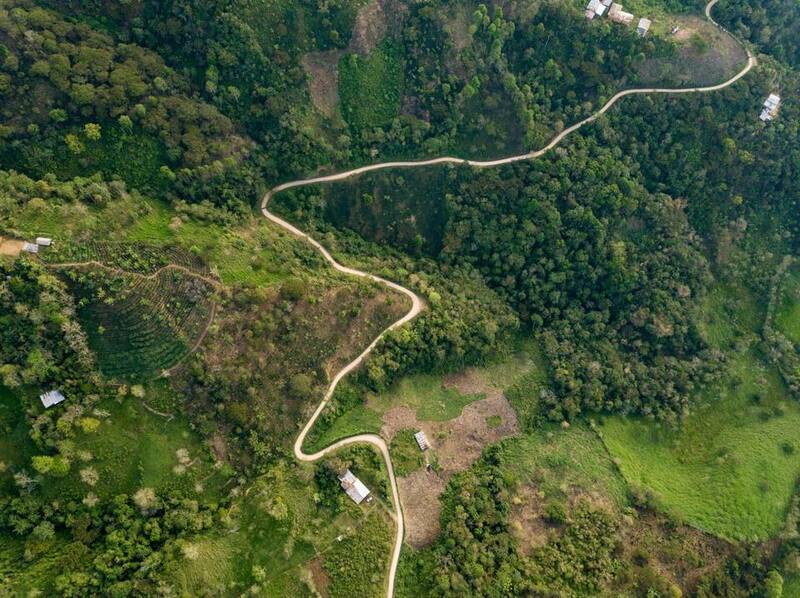 From the town of San Ignacio to homestead it requires an hour drive via 4wd, and then 30-minute steep uphill trek just to reach the farmhouse and the coffee depulping/washing/drying area. The house, like all the farmhouses in the area is made from mud brick ––mud drawn from the land the farm is built on. There are only 2 lights in the property, one above the kitchen table and the other above the de-pulping and washing tank. Priorities! Rob and Darren have been warmly adopted by the generous, kind-hearted family who are teaching them a lot about Peruvian culture, most of which revolves around community and cooperation. In the coffee processing, everyone pitches in and shares the load of floating, pulping and moving the coffee to the drying beds and after the work is done, we head inside Forunato and Vitalina’s humble abode for a meal cooked from ingredients from the farm ––the harvest of yet even more communal work. More about the fermentation experiments on the next blog. Meanwhile, follow the Instagram stories @zest_coffee for some raw behind the scenes footage.